The Web QA team would like to spotlight Jakub Jarosz, also known as qba73, as someone who has contributed greatly to our team’s projects. Specifically he’s put in a lot of work towards automating B2G – the project name for the Firefox OS phone. We’ve had a lot of interest from the community about getting involved with testing our latest product. I heard about Mozilla… ages ago 🙂 and I am a ‘lifetime’ user of Selenium. I started using the SeRC many years ago. after that I quickly moved to SeleniumRC and later WebDriver. Since the very beginning of working as an test automation engineer I have been using Python. My first thought about contributing to Mozilla code base was few years ago when David Burns was giving a presentation during one of SoftTest Ireland meet-ups about Selenium internals. Unfortunately due to other commitments I needed to wait two years to finally start contributing to projects. We are always open to new contributors who want to work with Python and Selenium. They are the core of our automation work. You do not need to be an expert either! Jakub came to contribute to one of our most difficult projects: Firefox OS. He created for us a set of software keyboard tests using Marionette that run on our frontline testing environment for Firefox OS. His tests check keyboard operation on every incoming Firefox OS commit and have been stable and effective in doing their job. Thanks Jakub! I really like issues related to some bugs in implemented algorithms. I like debugging and digging in the code to trace the root cause of an issue. I also like back end testing and writing integration tests in Python. One question we get a lot from new contributors is: how do I get started? I asked Jakub for his advice to new contributors, or anyone who is interested in getting started but isn’t sure where. Read Selenium tutorial, get familiar with Python fork one of Mozilla test repos and start experimenting with the code. Practice practice practice… 80% coding vs 20% reading 🙂 Do not be afraid to ask questions on IRC channels, use Stack Overflow, Selenium mailing lists. Currently I contribute to Mozillians-tests, Gaia (gaia-ui-tests), and Addon-Tests. I have plans to engage deeper into FxOS testing as using b2g emulator and device (I use ZTE Open). I also started reading the codebase for Web Services QA as it is very valuable source for learning Node. Here are some facts about Jakub! I am originally from Poland but I moved to Ireland 9 years ago. Since then I live in Dublin. Q: How much time to do you spend helping out per week? Well it really depends. When I am overloaded at work I can spend some time reading codebase on GitHub (e.g. on the bus). On average I would say I spend around 5 hours weekly and am hoping to increase this number next year. Q: What do you do as a career [job/school/retired]? 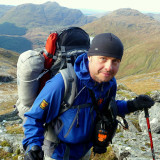 I love the great outdoors, skiing, climbing, hiking and wild camping. When I am not in Dublin I usually spend time on mountain trails in Ireland, Scottish Highlands or Dolomites in Italy. We want to thank Jakub for all of the work he’s done for Mozilla, and specifically for our Web QA team! We couldn’t do it all without the help of people like you.